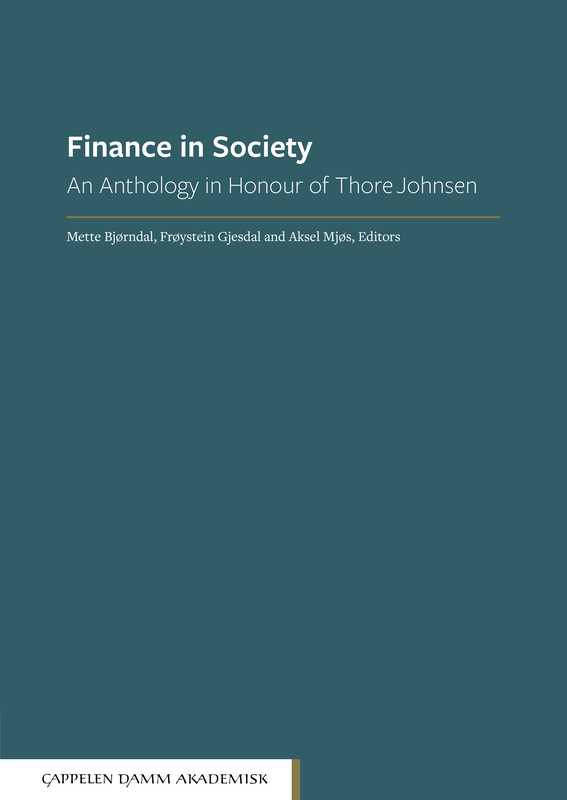 Finance in Society is an anthology containing contributions in areas of economics in which Professor Thore Johnsen has been actively engaged. The book’s title reflects Johnsen’s belief that research should be relevant for the professions and hence for society at large. The Authorized Financial Analyst (AFA) program, of which Thore Johnsen was the main founder and which has been running for more than 25 years, is also a point of reference: the book is all about financial analysis in its broadest sense. The selection of topics covered by invited contributors thus aims to provide an extensive and relevant representation of financial analysis in an applied form. The essays are by a wide array of authors from academia and the professions. All have a personal relationship to Thore Johnsen of some sort, as a friend and as a scholar. The contributions range from asset management, macroeconomics and accounting – fields that are central to the AFA program – to regulation and the efficiency of various markets. This book has been prepared with a professional audience in mind. Readers who have completed the AFA program will certainly find the material stimulating. The editors believe that the collection will prove interesting and useful to a wide audience of practitioners, regulators and academics alike. Mette Bjørndal is Professor of Management Science at NHH Norwegian School of Economics, Department of Business and Management Science. Her main research areas are in Energy markets and Operations research. She has been Vice Rector at NHH and is presently a member of NHH’s board. Bjørndal is a member of the board of Finanstilsynet, the Financial Supervisory Authority of Norway, and member of the Petroleum Price Board. Aksel Mjøs is an associate professor at NHH Norwegian School of Economics, Department of Finance, where he also received his Dr.Oecon. (PhD) in financial economics in 2007. Mjøs was previously CEO of DnB Asset Management and Vice President in Morgan Stanley Investment Banking, London. He is currently Chairman of the Board of the Kavli Trust, a charity-owned multinational food group. His research focuses on corporate debt and financial institutions, using Norwegian registry data. He is also involved in the AFA programs offered by NHH in cooperation with the Norwegian Society of Financial Analysts.